BEVERLY HILLS, CA - Tinseltown isn't always as bright as it may seem. Anchor Bay Entertainment is proud to announce the release of Black Limousine on Blu-Ray(TM) and DVD July TBD, 2012. Directed by the founder of Cineville Carl Colpaert (G.I. Jesus), this surreal Hollywood story created a buzz on the film festival circuit, winning the audience award at the Santa Cruz Film Festival. 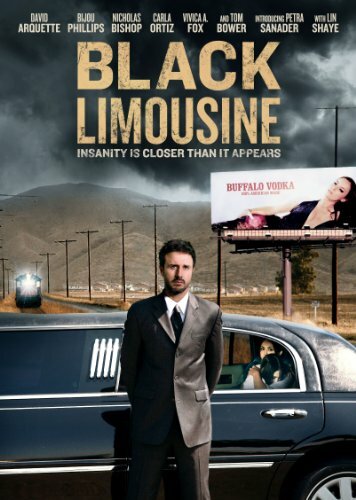 Black Limousine is stylish and unique with a top-notch cast and memorable performances by David Arquette (Scream 4, "Dancing with the Stars"), Bijou Phillips (Almost Famous), Vivica A. Fox (Kill Bill Vol. 1), Nicholas Bishop ("Body of Proof") and Lin Shay (There's Something About Mary). With powerful performances and thought-provoking themes, Black Limousine will bring to mind the recent critical hit Drive. Here is a beautiful and haunting examination of a man driven to the brink of madness, dreamlike and harrowing; Black Limousine is truly an unforgettable ride. Anchor Bay Entertainment is the home entertainment division of Starz Media, LLC. It includes the Anchor Bay Films and Manga Entertainment brands. It distributes feature films, children's entertainment, fitness, TV series, documentaries, anime and other filmed entertainment on Blu-ray(TM) and DVD formats. Headquartered in Beverly Hills, CA, Anchor Bay Entertainment has offices in Troy, MI, as well as Canada, the United Kingdom and Australia. Starz Media (www.starzmedia.com) is an operating unit of Starz, LLC, a wholly-owned subsidiary of Liberty Media Corporation.